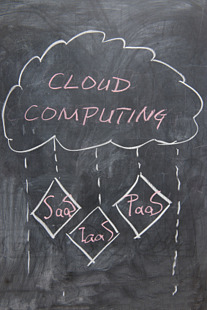 Believe it or not, cloud computing dates back to the 1960s. The idea of a virtual network that could deliver computation services was first introduced in 1969 by ARPANET, although at the time it wasn’t practicable and it wasn’t called cloud computing. Next came Salesforce.com in 1999 offering enterprise applications online, followed by Amazon’s Web Services three years later. In 2006, Amazon’s Elastic Compute cloud made it possible to “rent” computers on which to run applications, and in 2008 Amazon’s open source Eucalyptus platform hit the market. Since then, we’ve experienced tremendous growth in cloud computing options and resources, and virtual data rooms are one of the most exciting developments of the technology. Platform as a Service (PaaS) – PaaS offers the platform on which clients create their own applications without the expense of buying sophisticated development hardware.Paas is very much parallel to SaaS in certain ways, but rather than being a software delivered over the web(SaaS), it is a platform for the creation of software, delivered over the web(PaaS).App Engine from google and Sale Force.Com are some of the well known PaaS providers. Firstly, there’s cost saving: whatever service delivery model you use, you’ll save by not having to buy the hardware, the software or the developer platform. Second, there’s scalability. Being able to increase and decrease space, computer usage or inventory of hardware or software at any time boosts the cost savings. It’s not necessary to buy expensive equipment that becomes obsolete at the end of the project, neither do you risk running out of space mid-project because you underestimated the system requirements. IT support departments become largely defunct, since all support is available online. This streamlines the operation’s headcount and allows the company to focus on its core objectives. The environmental benefits of cloud computing are significant and go beyond having fewer computers and printing less. The ability to serve hundreds of thousands of users from one location lowers emissions from transportation reduces the need for energy and even the requirement for business infrastructure. It’s quick. Deployment is fast and easy, because all that’s needed is to connect to the server – there’s no longer a requirement to identify your needs, place an order and install equipment. In an instant you can deploy hundreds and thousands of servers, depending on your requirements. The risks associated with cloud computing focus on storage and movement of data: data transfer, data protocols, accessing and viewing of data. A secure Service provider takes these criteria seriously, and puts the highest of priorities on keeping security procedures current and client data secure. Whether you are a potential client of a service or you are a provider, security has to be the first step. Cloud computing vendors such as virtual data room providers should always be vetted thoroughly for compliance with ISO standards.